The truth isn’t always easy. In a society mainly concerned with comfort, we will often seek convenience over the truth. Our love of the scapegoat is a perfect example of this. We’ve seen it many times in many realms; we’ve seen scapegoats in politics, in war, and in sports. We do it because its easy. It’s easy to find a singular, simple source of blame than it is to scratch beyond the superficial surface of an issue. I remember it was an unseasonably warm Australian afternoon in late June. I had just finished a four hour Corporate Law exam and was waiting in line for a double triple shot of espresso so I could stay awake for the rest of the day. Friends back home were taking part in the Canadian past time of watching the NHL draft and criticizing their favourite team’s picks as couch-ridden, unpaid general managers. I turned my phone on, and it blew up. James Neal had been traded to the Nashville Predators. I was shocked. Not because he’s a 40 goal scorer. Not because of his big body presence or his quick release that would make most players envious. Those things can theoretically be replaced. The reason the trade struck me as curious was that I couldn’t for the life of me propose a valid reason as to why it happened. The (debatable) official reasons for the trade eventually surfaced. Over the next few months a number of additional articles emerged discussing the trade. There was an overwhelming theme that this trade was chemotherapy for the Penguins; that they had eradicated a cancer in removing James Neal. Articles claimed that this trade improved the character and the dressing room environment of the Penguins (without providing any real evidence). Usually, the writer hinted to whispers amongst pundits or equated on-ice discipline with who Neal is as a person and a professional. James Neal – the player and the person – deserved more than that. James Neal is, and always has been, a great team-mate. He’s loose in the dressing room. His on and off-ice chemistry with Geno was rivalled by few power duos in the league. He’s a professional in every sense of the word. Coaches and players past and present vouch for his relentless work ethic and dedication off the ice and during practice. 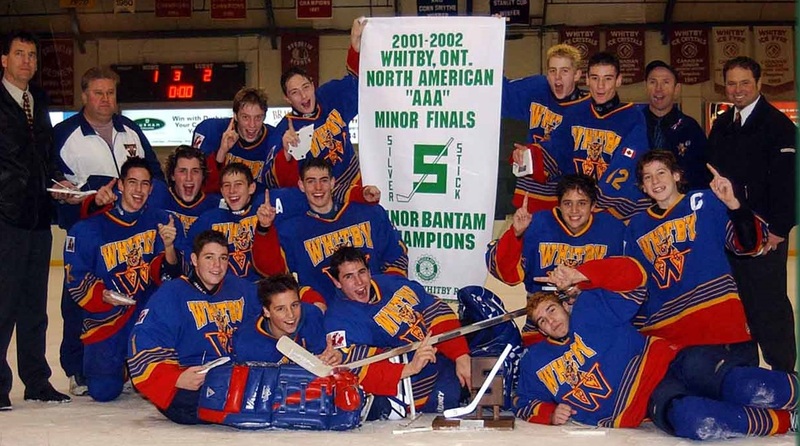 Neal and I playing for Whitby Minor Bantam AAA for the 2001-02 season. I played for nearly ten years with James Neal. We put on the same jersey for close to 1000 games of hockey. For most of them, he was my captain. He’s a silent yet strong leader who leads the way by example. He’s more dedicated to his body and his craft than anyone I’ve ever met. He is selfless and will do whatever is asked of him (just ask Craig Hartsburg, who took Neal to fill a third line checking role with Team Canada on its way to World Junior gold in 2007). He’ll hit hard, he’ll fight if he has to, and he’ll do whatever gives the team the best chance of winning. He wants to win more than anyone in that Nashville dressing room right now. Ingrained deep within him is a sense of integrity that will never allow these things to change. Nashville is extremely lucky to have him, and they know it. Simply put, he’s a player’s player. 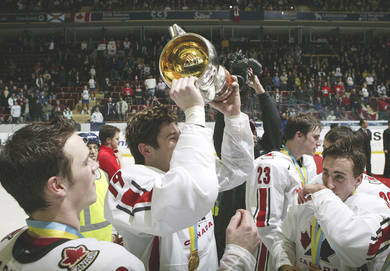 James Neal winning the U21 World Juniors in 2007. He’s shown himself to be a leader since his days in junior, and he’s already taken nicely to the assistant captain role in Nashville – showing that he can not only play on the defensive side of the puck, but also relate to and mentor young superstars who are learning the professional ropes. It begs the obvious question: If he possessed such a cancerous character, why were at least 15 other teams in the market to acquire him? Why did Nashville commit to the remaining twenty million dollars on his contract, and give him the assistant captaincy? It doesn’t exactly add up. James Neal was painted as the villainous cancer in Pittsburgh because it was easier than addressing a massive lack of depth and toughness that the Penguins are suffering from. The trade was a bad one. It was a knee-jerk reaction by a new general manager who felt he needed to make a big splash to show fans that the perennial underachieving of the Penguins was not going to be tolerated. Neal was the biggest name that also doubled as a disposable commodity. Let’s face it, Crosby and Malkin weren’t going on the block. When you look at the trade, at both face value and in greater detail, it requires an additional layer to make it justifiable to fans and experts alike. 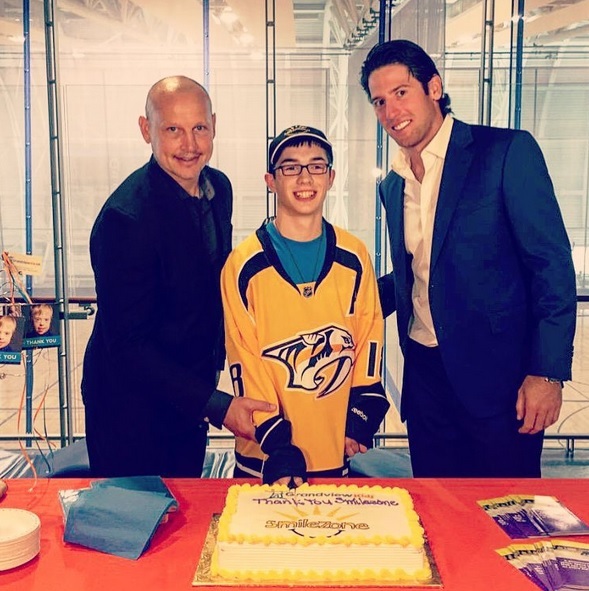 The James-Neal-is-a-cancer myth served that purpose. The Penguins maintained the core of superstars that won a cup, so why is post season under-performing becoming a theme in Pittsburgh? They lost the character that it takes to win in the play-offs. Think of game seven against the Red Wings in ’09. Remove Max Talbot, his grit, and his two clutch goals from the Penguins line-up. Does Crosby lift the cup at the end of that game? Probably not. So how did the James Neal trade fix this culture of quitting when the games get tough? Of folding when adversity strikes? How did it help with character? The Pens didn’t add anything in that department, and their play-off woes remained the same. You need sandpaper to win in the play-offs. Neal has that, and I’ve yet to see it in his replacement(s). I understand the convenience behind the scapegoat. I understand its logical use in deflecting attention away from under-performing franchise players and in appeasing fan criticism. I understand that Neal was the perfect head to roll and this is a business. It would have been much tougher for Jim Rutherford to roll up his sleeves and go to work on the actual problems plaguing the Penguins. Yet something deep inside of me can never agree with how they turned James Neal into a scapegoat. They did it by attacking his character and his person. There’s an entire human being the fans and media don’t see. They don’t see the guy who wakes up before sunrise to put long hours into training during his off-season. They don’t see his charity work, in both his home town and in Nashville. They don’t see the guy who takes care of his friends and family, all the people who love him for the man he’s become. We’re all entitled to an opinion. If you believe Neal’s departure was the start of a positive change in steel town, I respect that. I only ask that in your endless justification of the trade, do not stoop to taking shots at his character or his integrity. It’s too easy to criticize a man when he’s out of favour, and to make him shoulder the blame for everybody else’s mistakes.” – Leo Tolstoy, War and Peace. These players are human beings just like you and I. It is in recognising them as such – through our human empathy – that we must find the strength to resist the urge to join in the whispers of defamation and gossip. The people we use as scapegoats, in politics or in sports, are certainly not perfect. But they do their best. They make mistakes, but so do we. They love. They bleed. They sweat. They cry.